The 83-year old billionaire confirmed in a statement on Wednesday, how he had just purchased the 200,000 sq. ft. Casino Miami for an estimated $155 million; his first gaming procurement in almost 10 years. “I look forward to entering the Miami gaming market through this acquisition. We have exciting plans for Casino Miami that we will be revealing in the near future,” Ruffin said. 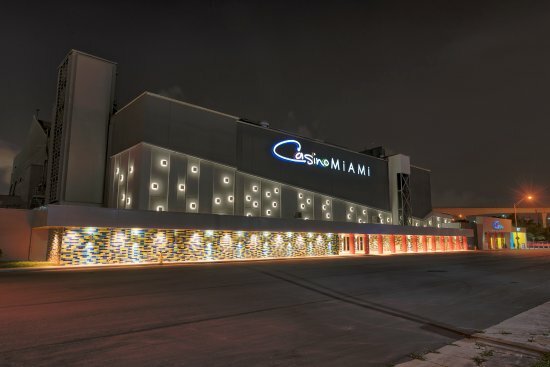 Located on 37th Avenue in downtown Miami, the casino is a 5 minute journey from Miami’s International Airport (an advantage that heavily influenced the purchase) and sits on top of 21 acres of expansible land. Currently, the establishment homes over 1000 Vegas-style slot machines and electronic table games such as Poker and Pai-Gow. It also features a restaurant, a bar regularly showing sports and simulcast betting, as well as a large, live entertainment space for concerts, shows and jai-alai games. In 2017 the Florida-based property generated over $68 million in gambling revenue for the state. And $60 million in the first 10 months of this year, based on data revealed by the UNLV’s Center for Gaming Research. Michelle Knoll, speaking on behalf of Ruffin, said to press how the casino owner intends to further expand the property to include a hotel – but would not go into any more detail about other future plans they have in store for the resort. The sale comes soon after Amendment 3 was officially passed on November 6th. 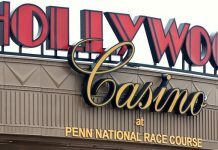 A law which limits the expansion of gaming facilities, and restricts certain forms of gambling such as pari-mutuel betting and sports books. It also authorizes voters to have an exclusive say on casino gambling throughout Florida, including the use of slot machines and other electronic games. The new legislature has been largely backed and supported by corporations like Disney as well as the famous Seminole Tribe, after the casino operators feared a gambling expansion could entice competitors to the area and affect their exclusive right to operate certain games in the state. A privilege which comes at a yearly cost of $250 million to the Tribe. When Ruffin first went into the casino business back in 1998, he purchased the New Frontier in Las-Vegas for $167 million. When he sold the establishment nearly a decade later, it went for a whopping $1.2 billion and was recorded as the largest per-acre price sale in the entire history of the Strip. 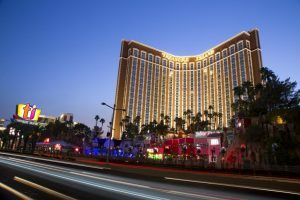 In 2007, the billionaire then used some of the sale profits to buy out Treasure Island from MGM Resorts International for a negotiated amount of $600 million cash, and $175 million in secured notes – after the operators were facing the brink of bankruptcy during an economic downturn. In that same year, he also closed down the Wichita Greyhound Park, due to a failed referendum that would permit the use of casino gambling and slot machines at the racetrack. Ruffin still has multiple assets and shares in a number of enterprises, including convenience stores, hotels, real estate, oil production and the world’s largest hand-truck manufacturer. 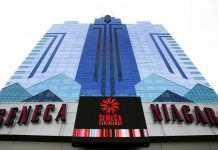 He is also a very close friend and business partner of US President Donald Trump, of which both men have a 50/50 interest in the land where the Trump International Tower is situated.